Our Quality Assurance Department strives to achieve the level excellence through implementation of proper quality management system. 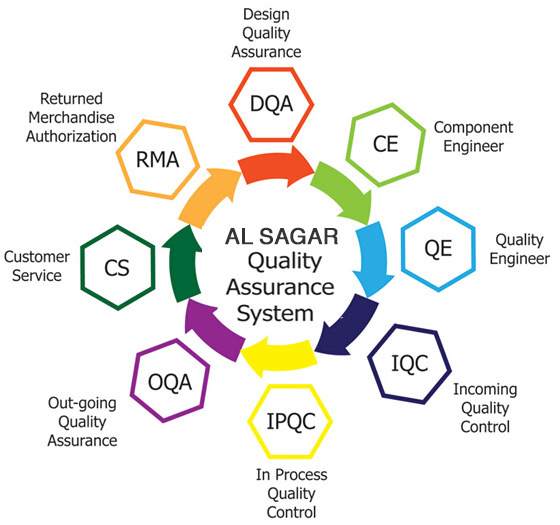 Our Quality Assurance department is responsible for continuously improving the effectiveness of Quality Management Systems and services that we provide to our clients and end users. In addition to complying with ISO 9001 Standards, we are committed to our own internal Quality Policy. Our QA/QC engineers ensure that our products and services are safe, reliable, and of good quality. These standards are based on the principle of continuous improvement, which promotes reduction in costs by minimizing waste and errors while increasing productivity. Support all efforts to provide products and services that meet or exceed our client’s project requirements. Foster long-term relationships with our customers and suppliers, since they are all crucial to the success of our business. Train all employees to fully understand and comply with established and approved procedures and systems. © 2018 A.H. Al Sagar & Bros, All rights reserved.